This classic is meant to go with you everywhere. 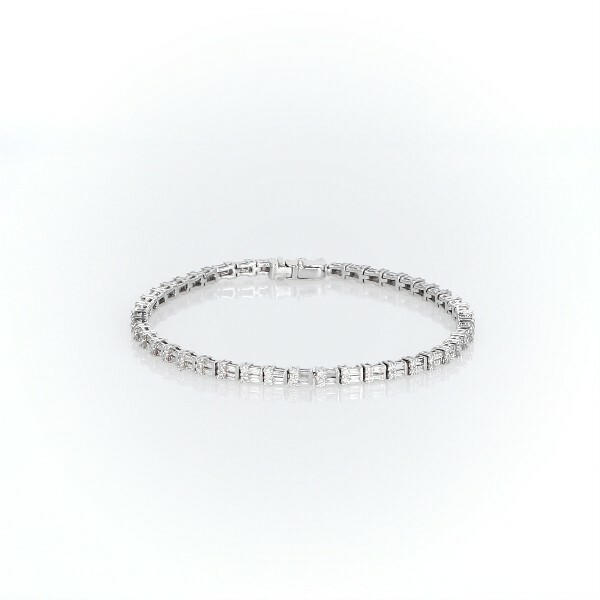 The always-in-fashion tennis bracelet presents fifty-four round-cut diamonds and 2 7/8 carats set in 14k white gold with decorative milgrain accents framing each gemstone. Secure yours with a box catch and hidden safety.